Measures approximately: 7.50 x 4.50 x 3.38 inches.. 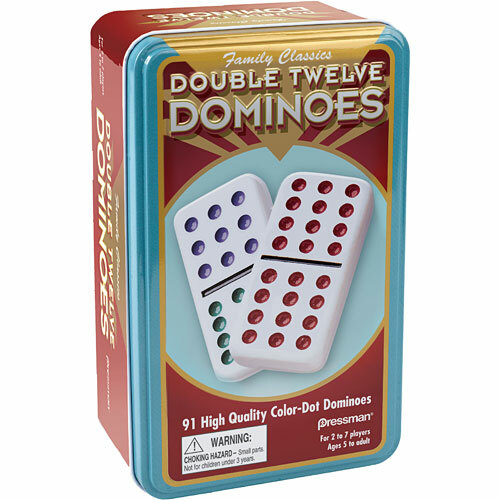 This 91 jumbo crystalline domino set is our biggest and most colorful! 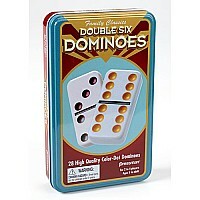 It's packed in a tin box that players of the game will appreciate every time they play! Rules,mexican Train Starter piece included.For 2 to 7 players,ages 7 to adult.